Who will be at the Women’s March in Boston? Everyone, it seems. 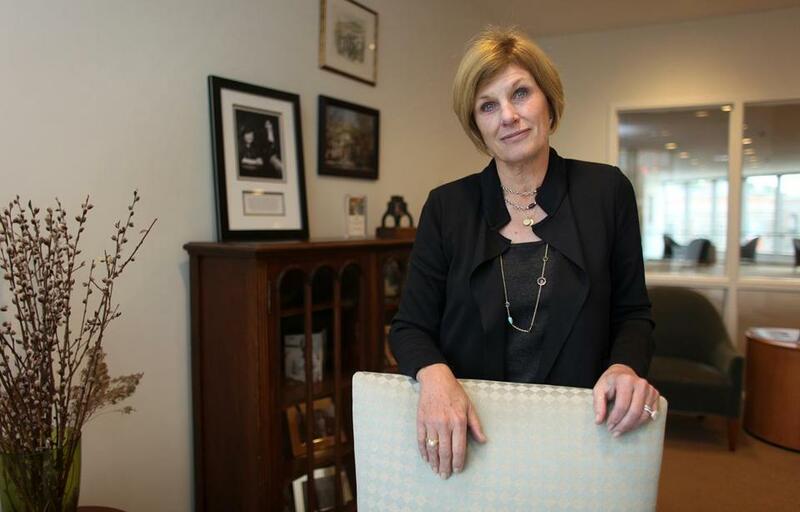 For Cathy Minehan, former president of the Federal Reserve Bank of Boston, the Boston Women’s March will be her first protest gathering. Finding who from Boston will be at the Trump inauguration felt like an exercise in futility. Hardly anyone planned to go, but now I know where everyone will be: the Boston Women’s March. Among the list of boldface types: Hill Holiday CEO Karen Kaplan; former Boston Federal Reserve Bank president Cathy Minehan; Weber Shandwick New England president Micho Spring; former Suffolk University president Margaret McKenna; Emerson College president Lee Pelton; Cambridge political activist and philanthropist Barbara Lee; iRobot board member Gail Deegan; former banking honcho Shanti Fry; InkHouse CEO Beth Monaghan; and Boston super lawyers Betsy Burnett and Beth Boland. Organizers expect more than 80,000 to participate in the Boston march, which will start on Boston Common at 11 a.m. Saturday and follow a mile-long loop along Commonwealth Avenue. Boston’s event is likely to be one of the biggest among the more than 600 “sister” marches that will take place globally in solidarity with the Women’s March in Washington. What’s striking about Boston’s gathering is that it’s attracting not only grass-roots activists upset about the election of Donald Trump and the potential rollback of women’s rights, but people who are part of the establishment. “I am not a marcher. I try to work within the system. God knows what this system will be,” said Minehan, the former Boston Fed chief, who recently retired from her post as dean of the Simmons College School of Management. Who is behind the Boston Women’s March? The volunteers come from different backgrounds, but they all share a desire to stand together for equality and dignity. Incredibly, this will be Minehan’s first march. She came of age during the 1960s and remembers well the demonstrations against the Vietnam War. She didn’t participate because she was too anxious about finding a job after college. But this time Minehan can’t just let things be. “We have a long way to go for women to have equal access and equal opportunity, and I don’t want to take a step back,” she said. Deegan, who was the chief financial officer of publisher Houghton Mifflin, is a marcher, and by her count has rounded up about 30 friends and family to join her on Saturday. Less surprising are all the politicians who will be out in force. Massachusetts Democrats will grab any chance to take a stand against Trump. Headline speakers at the march’s program include Senator Elizabeth Warren, state Attorney General Maura Healey, and Boston’s male feminist-in-chief, Mayor Martin J. Walsh. Others planning to participate: congressman Joe Kennedy III, who will bring his wife, Lauren, 1-year-old daughter Ellie, and mom, Sheila Rauch Kennedy; House Speaker Bob DeLeo, deputy House leader Patricia Haddad, and some 30 House members; Senate President Stan Rosenberg and more than a dozen state senators, including Karen Spilka, Linda Dorcena Forry, Sonia Chang-Diaz, Cynthia Creem, Patricia Jehlen, and Jason Lewis; state Treasurer Deb Goldberg; and state Auditor Suzanne Bump. 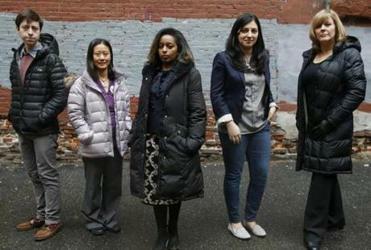 From Boston, expect City Council President Michelle Wu and her colleagues Ayanna Pressley, Annissa Essaibi George, Andrea Campbell, Tito Jackson, Michael Flaherty, Matt O’Malley, and Josh Zakim. The marches sprang up in reaction to the misogynist and anti-immigrant rhetoric tone of the Trump victory, but the concept has raised eyebrows. Mr. Bombastic hasn’t done anything as president yet. Why not wait until he screws up? But several who plan to march say this isn’t about Hillary Clinton’s losing or a partisan swipe at the Republicans in charge. It’s more akin to civil rights demonstrations than antiwar protests. While billed as a women’s march, expect plenty of men like Pelton, who runs Emerson College. He said he will march for his two daughters, his mother, his grandmothers who made their living cleaning the houses of rich white families, for single mothers, for women who are paid less than men, and for women who have been sexually assaulted or harassed. No doubt Saturday’s marches will make a powerful statement. Let’s hope President Trump gets the message that women’s rights are human rights. We’ll be waiting for his tweets.